The ROBOTIS PLAY 700 is an educational toy kit that can provide your child a fun and easy introduction to STEAM education! With the ROBOTIS PLAY700 kit, you can connect, play, and program your robotic creations using Android, iOS, Windows, or macOS! Scratch 2 Offline Editor: Must be installed before using with R+ SCRATCH. BT-210: A Bluetooth module to connect robots with a PC Bluetooth adapter. BT-410 Dongle: A USB Bluetooth dongle which allows wireless connection between PC and the BT-410 module included with PLAY700. LN-101: Connects robots through a wired connection to a USB port of the PC. The R+ PLAY 700 app allows users to easily connect and play with their creations. R+PLAY700 app allows users to connect their devices with their robot via Bluetooth with the included BT-410 module. A powerful, user-friendly programming app which requires little coding experience. Create and download programs to your robot! This software is best used with the R+PLAY700 app to provide a seamless transition between programming and controlling your robotic creations. 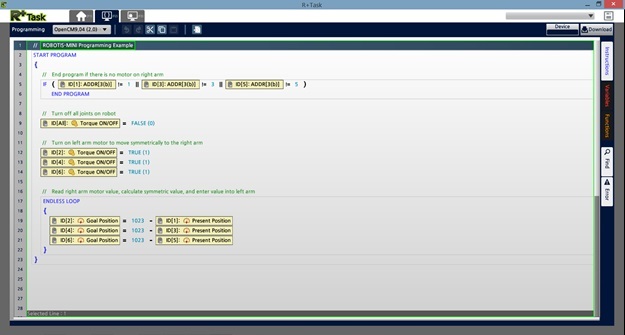 R+ Task 2.0 is a full-featured, user-friendly programming software which requires minimal coding experience. 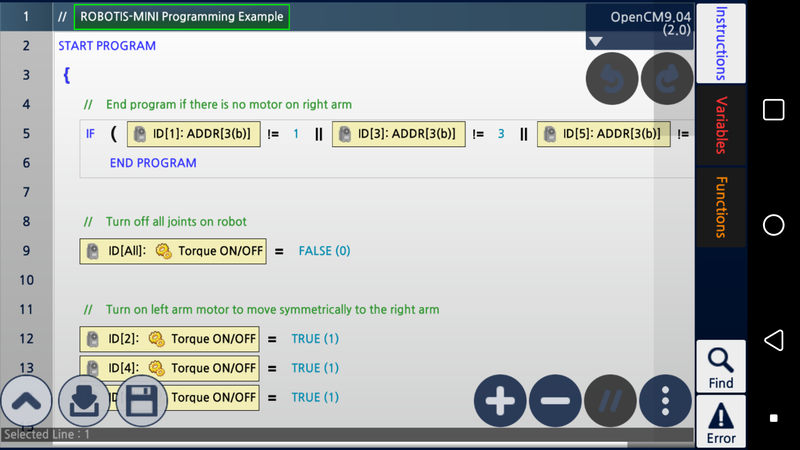 Task 2.0 can be used to create programs to download to your PLAY700 robot from a computer. 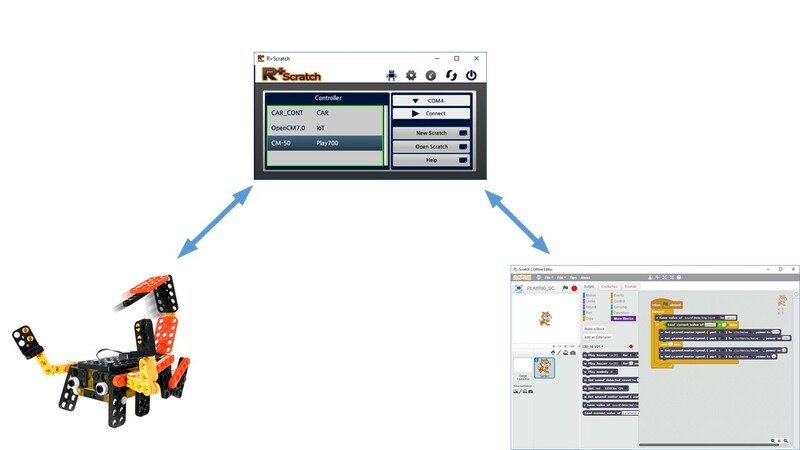 R+ Scratch connects robots to PC so that they can be programmed using the Scratch2 educational programming language. Examples come pre-installed with R+ Scratch to provide ideas for other projects.